It has been a long time since I have posted on either of my blogs. I have missed it, but life has brought great busyness, with a move in the fall, followed by my oldest daughters wedding, a few days before Christmas. My hope for January was to find our groove again, getting back to a normal routine. Sadly, I lost my dad at the end of the month. Winter has been all about trying to find a new normal. I haven't felt up to doing much of anything but really wanted to get this post out about our scavenger hunt from last Easter, before Holy Week flies by. This was the second time we "found the Alleluia" and it was such a nice twist on an Easter egg hunt. Much more meaningful and engaging. So click on over and see how we did our hunt last year! It's been a little while since I have posted anything. Life has been so busy. 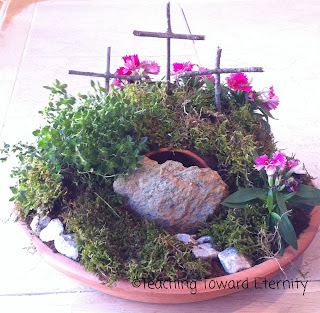 But I wanted to get a quick post in about this fun activity I did with my kids last Lent/Easter. Time to Hide the Alleluia!